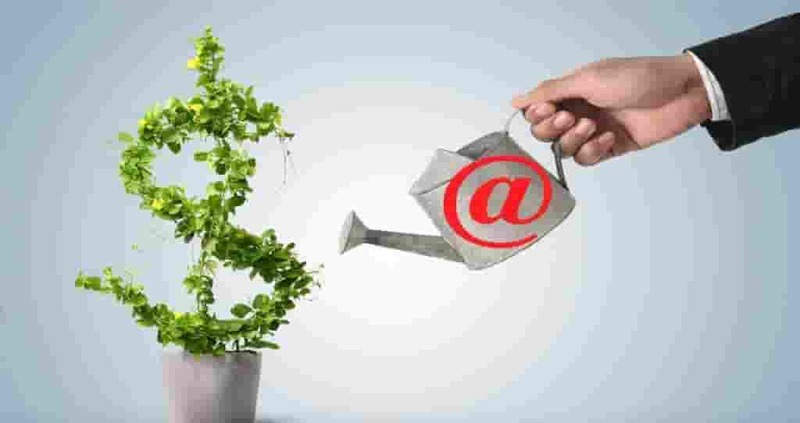 Get quality Prepackaged & Customized Business Email List, Business Mailing Lists and Business Marketing Email Addresses By SIC Code That Let You Reach Targeted Markets In The USA, UK, Canada, Europe & Australia! And much more. 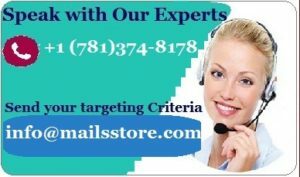 Maximize your direct marketing, telemarketing and email outreach efforts with quality Business Email Addresses and sales leads from Mails STORE. This file contains 16 million company records with fully quality customizable selects so you will identify the prospects most likely to buy your products and services. Mails STORE gathers our information from a multitude of directory and event-driven sources, including new business press releases, daily utility connections, corporate websites, filings, annual reports, user-generated feedback, and thousands of U.S. and Canadian Yellow Page directories. And because we maintain an intimate knowledge of our sources and complete control over our compilation processes, we’re able to continually improve our methods to ensure the best data possible. Easily pinpoint the Business Leads most likely to buy your products or services. Mails STORE uses cutting edge technology to ensure that your leads are pulled from the most accurate, up-to-date mailing database on the market. 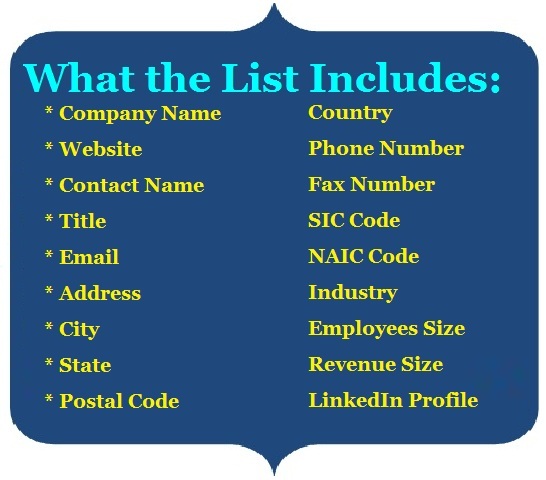 Whether you look for email addresses, phone numbers or postal addresses, – there are thousands of different combinations to customize the perfect Business Mailing Addresses, List for your marketing, sales, or research needs.